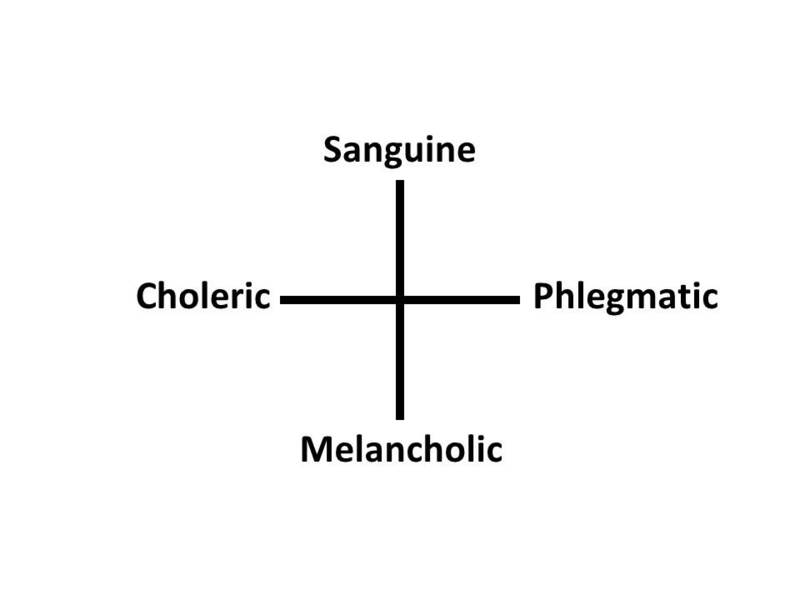 What would a list of fourfolds be without mentioning the Four Temperaments: Sanguine, Choleric, Melancholic, and Phlegmatic? Indeed, these personality types from ancient medicine and philosophy are still a source of classification and inspiration for modern psychology, even though the reasons for the differences (the four humors) has been discredited. The four humors were blood, yellow bile, black bile (they were big on bile), and phlegm, and were also related to the Four Seasons and the Four Elements. 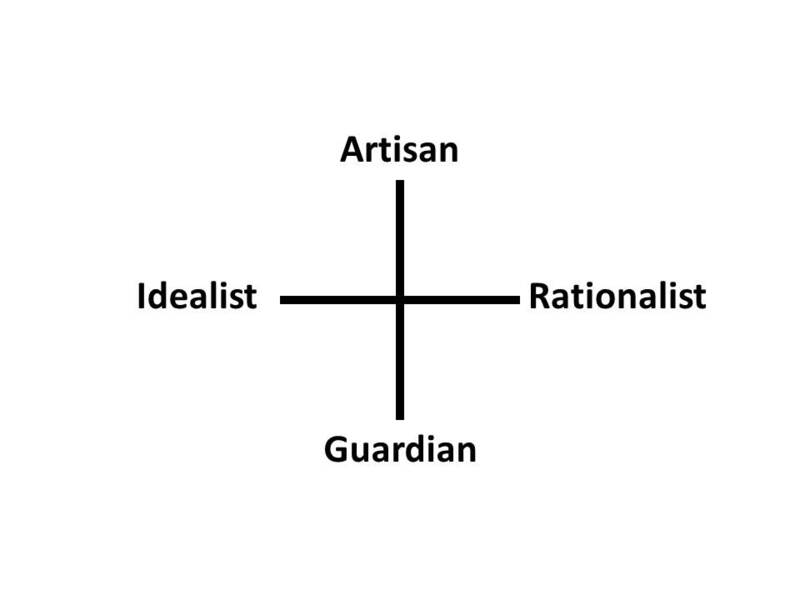 Below is psychologist David Keirsey’s modernization of the four temperaments, consisting of Idealist, Artisan, Guardian, and Rationalist. Images of the Four Temperaments. This entry was posted on November 8, 2013 at 1:51 PM and is filed under alchemy, fourfolds, Psychology. You can follow any responses to this entry through the RSS 2.0 feed. You can leave a response, or trackback from your own site.